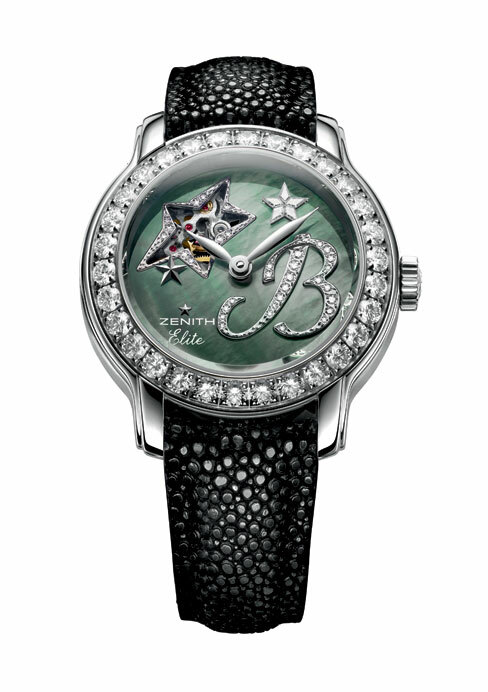 Zenith’s Starissime Magic Letters is a haute jewellery watch and is unique as the letter on the dial’s face set in diamonds is a bespoke option. One can choose a letter one on the watch making it a one of a kind product that is personal and beautiful. Its diameter: (25.6 mm) and height (3.81 mm).The case is in 18-carat white gold set with 30 Wesselton diamonds. Hand-made gold dial with black Mother of Pearl. With power reserve over 50 hrs. the hours and minutes are in the centre. The small seconds-hand is at 9 o’clock, The 18-carat white gold simple buckle is stamped with the Zenith star on the cap and available in black galuchat strap. Available on request. Price 34,49 lakhs.